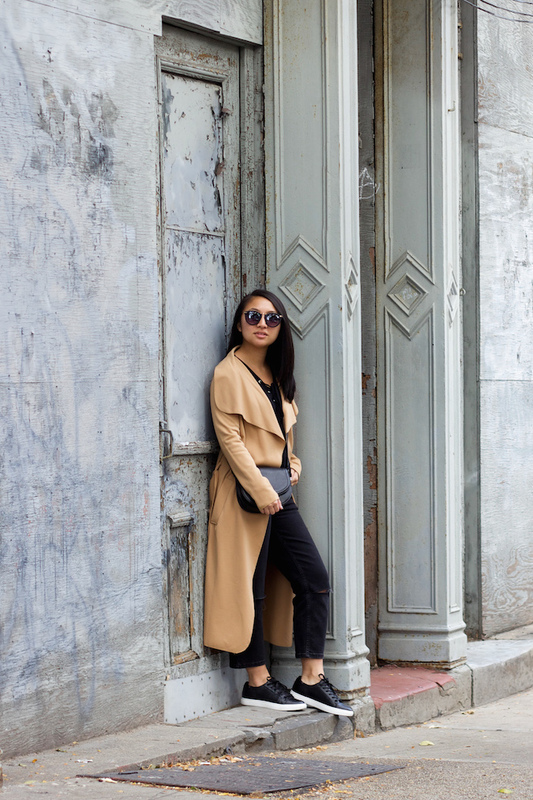 Loving your camel coat ! Looks so beautiful on you. Actually the first few photos where you only see the grey building behind you I would have guessed you were somehwere in Europe. It has been a very long time since I have lived in NYC and visited brooklyn but it sounds like things are changing rapidly. Not only that it is getting more gentrified, but that the well-off hipsters are getting replaced by the even better off techies?! Haha, I wish I were in Europe! NY is always changing but nice to see that Williamsburg still has some of its character. Thanks for stopping by! 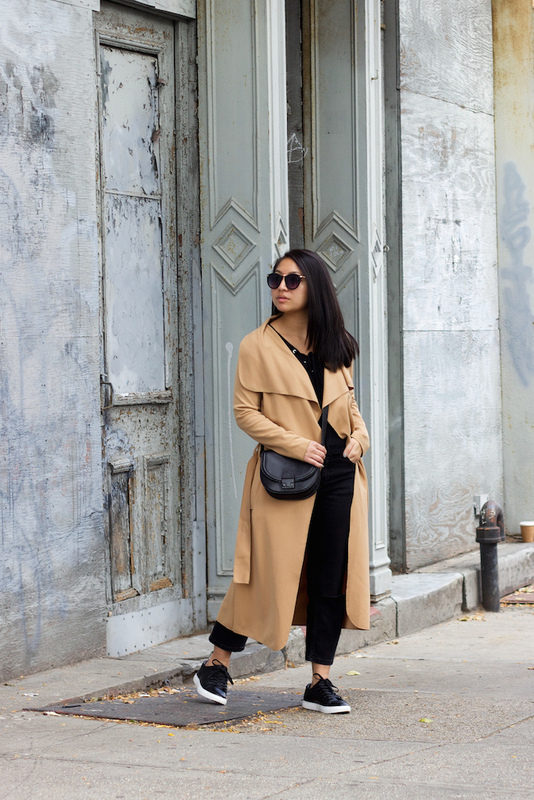 Camel coats and all black work so well together! I love the casual look but so well put together!! Love the colour tones - beautiful! Thanks for sharing love. You look beautiful. I am so in love with your coat, the color is nice. I love this casual look. Your coat is so pretty. Oh man I would kill to live in New York. So many amazing Photo ops, I would go nuts! That coat is to die for btw! The perfect fall staple! Haha, there really are SO many! Hope you get to visit soon! Williamsburg sounds like a cool and upcoming are to visit! I love your coat and the sneakers! 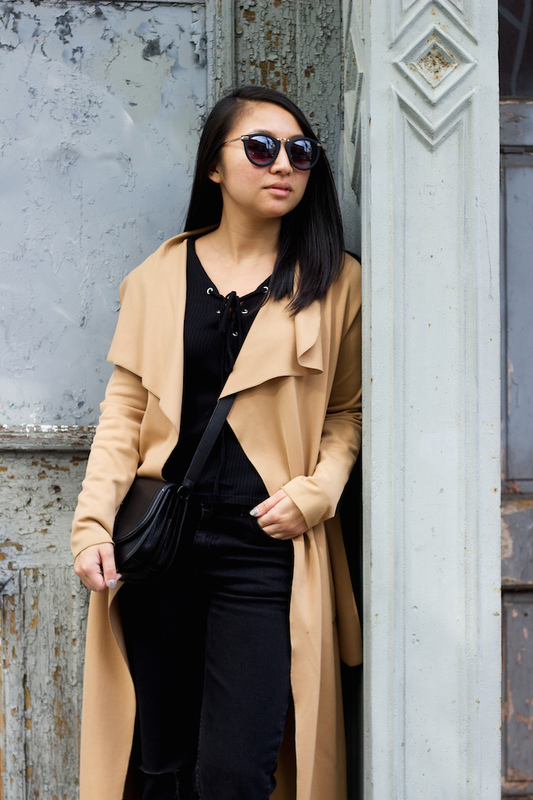 Love this minimalist look in black and neutral! Loved the photos you took. You look great! I love this look; and I adore the long coat! Looks great on you! I love your camel coat. Love how you styled it. Since I'm in a tropical country, obviously, I can't wear some coats or sweaters anymore. So whenever I see fall and winter outfits, I just couldn't help but admire and wonder when I'd be able to wear these layers again. Anyhow, I really love your chic yet comfy style. :) Hope to hear from you soon! You are so sweet! I'm jealous you're in a tropical area though, haha. Will be visiting your blog! Oh Williamsburge...Bronx will prob be next.. LOL come towards me more often then! I want to go back! For Vietnamese crepes LOL.